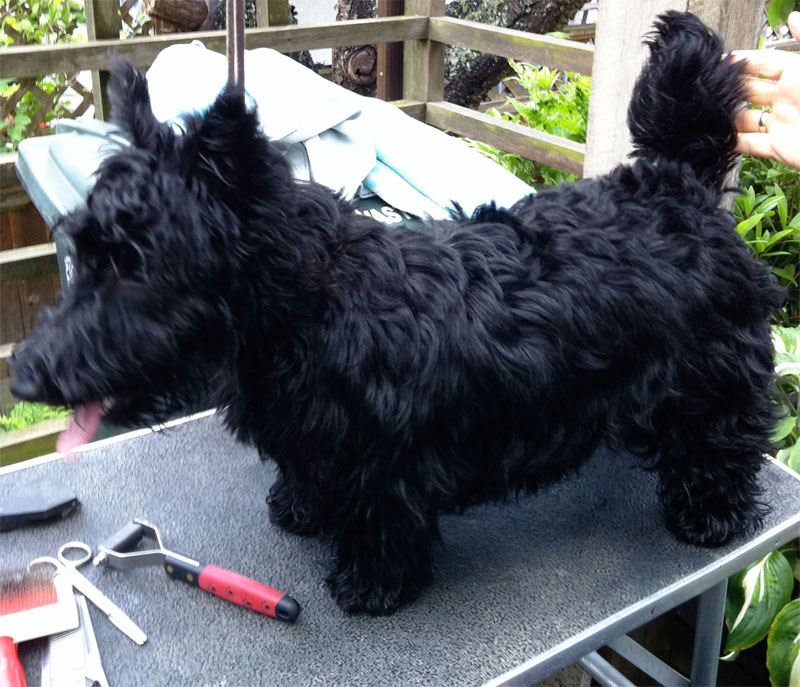 Thanks for your interest in Glenfraser Scottish Terriers. 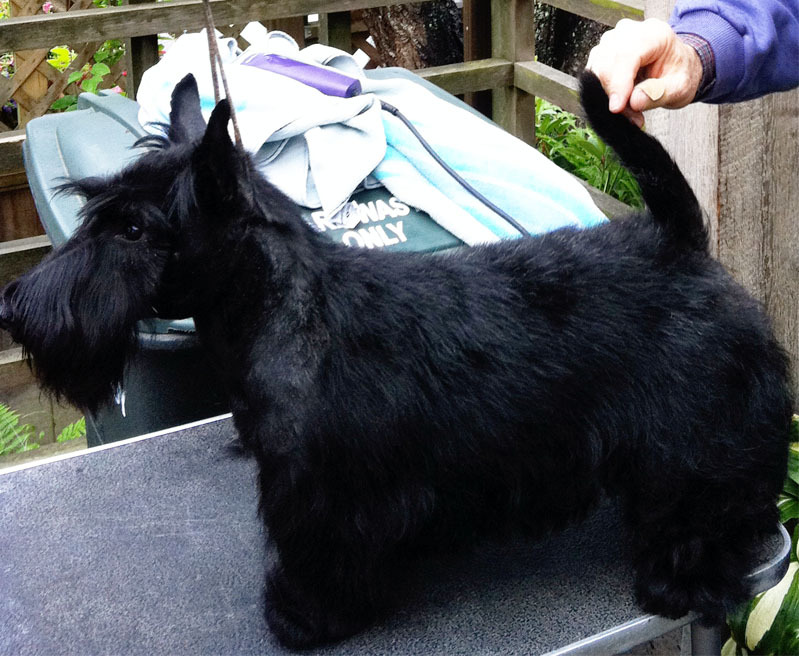 We share with you a love of the breed and also understand that as with most top quality pure-bred dogs, finding the right one can be a long and sometimes frustrating experience. Our experience has shown that those owners willing to take the time (and yes, it sometimes takes a while) to build a relationship with breeders usually have a more successful time of it. 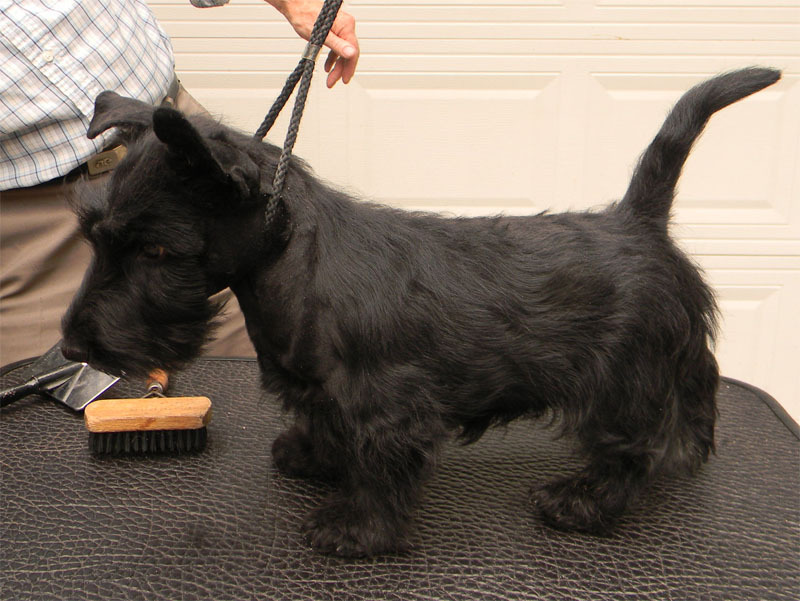 That way you can get to know people, perhaps attend some shows or visit kennels in person, and finally settle on a Scottie puppy and bring it home. Starting with a brief email exchange or phone call won't cover everything and is only the very first step. In order for you to start that process and get to know our situation and terms a little better, we've prepared some preliminary information that you should read. We hope this will provide you with a better understanding of our policies. Given the numerous enquiries we receive for puppies via the Internet, we suggest you read the following information before you contact us, including the FAQ on this website and our kennel page, if you haven't done so already. 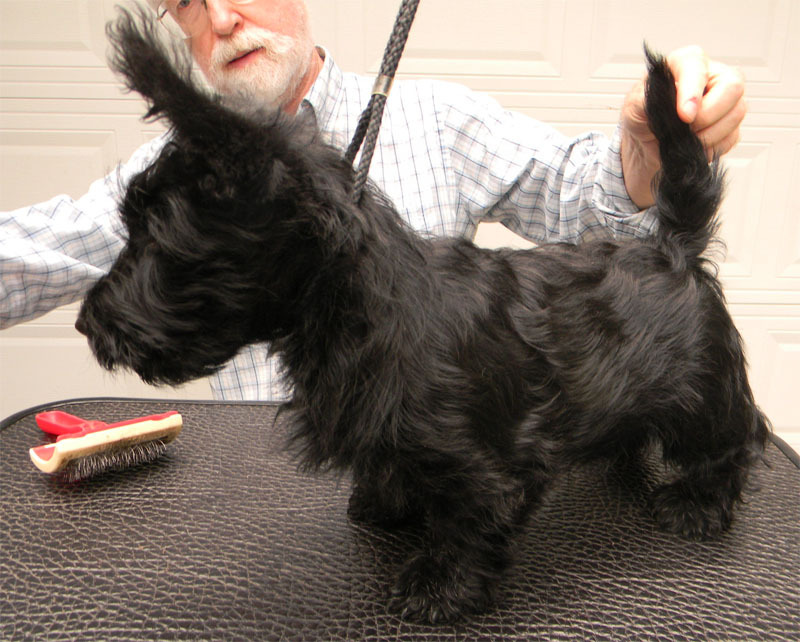 if you've done any searching for a Scottie puppy, you'll realize that there are normally not that many litters available at any given time; litters tend to be in the range of 4-5 pups, and frequently not all of them survive the first few weeks, so as a result a lot of time and expense goes into raising just a few pups, and most breeders have just one litter per year (just for the record on finances, after 20 years of breeding, we have yet to break even - it's obviously a "labour of love" with the intention of improving the breed and producing puppies with excellent health, temperament and intelligence); increasingly it seems that few breeders have the resources to spend 4 months raising a litter and take a financial risk of a few thousand dollars in what might end up as a "singleton" litter, or worse, none at all!